Time for a vacation? 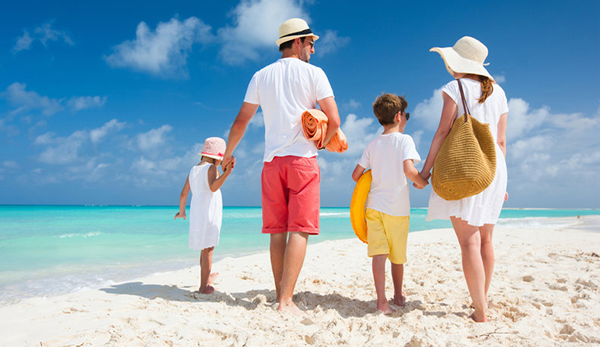 Whether you are planning a road trip to your favorite theme park, taking a plane to the beach, or even sailing away on a cruise, there will be plenty of things to arrange leading up to departure. Telling your close friends and family members that you are going out of town is a good idea. However, sharing your plans publicly on social media before or during your trip is a big no-no. Depending on your privacy settings, you could be telling complete strangers about your absence, which could tip off burglars. Save your vacation posts until you’ve returned safely. Ask a trusted neighbor, friend or family member if they can keep an eye out on your home. Request that they park a car in your driveway, collect your mail or even mow your lawn if it starts looking overgrown. These are key things that criminals look for when plotting a break-in. Do you still have that extra key on the window ledge or under the welcome mat? Go ahead and remove it entirely or give it to a friend. A large portion of break-ins are done without forceful entry. This should go without saying, but double-check that all of your doors and windows are locked up. Consider securing even further those sliding doors with a steel bar or two-by-four in the back groove. Areas that are sealed off by closed doors may develop a musty smell. To ensure proper airflow and to avoid stuffiness in any area of your home, be sure to keep the air conditioner running with all interior doors open, including closet doors. While it’s not recommended to turn off your water heater, since you will be away from home and not using hot water, consider turning your water heater to ‘low’ or ‘vacation mode’ to save on energy. Help make your home look ‘lived in’. Set up at least one indoor lamp to a timer, and consider timed or motion-activated outdoor lighting. What’s the point in paying for electricity that you aren’t using? Disconnect your coffee maker, toaster, phone chargers, etc. to scale back on your electricity usage while you’re away. You may have heard conflicting advice on whether or not to turn your A/C off while you are away for an extended period of time. Most experts will tell you to keep the cooling system ON. Set the thermostat to a temperature that is only slightly less comfortable, yet still protects your plants, pets and furniture from dangerous humidity levels. If you have a programmable thermostat, you could even schedule your cooling to resume to normal before you arrive home.